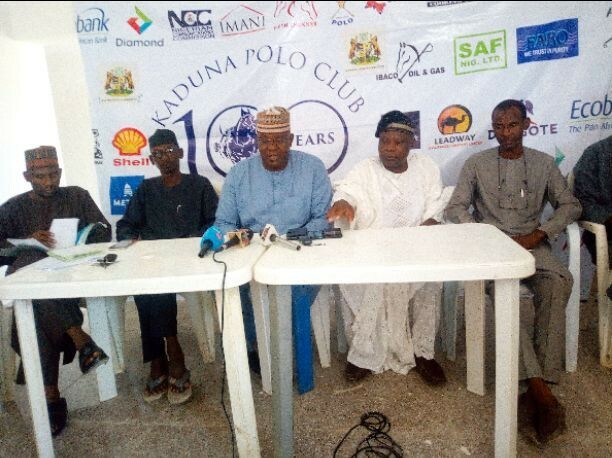 The Kaduna Centenary Polo Tournament will be fielding 40 teams across the federation during its centenary tournament, President, Kaduna Polo Club, Alhaji Suleiman Abubakar has said. Addressing newsmen during pre tournament press briefing at Murtala Square, Kaduna on Thursday, the President was quick to add that, the tournament has witnessed an unprecedented turn out of sponsorship and participation, just as all is set for its galloping off this Saturday. According to him, “we have witnessed an Unprecedented turn out of participants and sponsorship for the centenary polo tournament. We are very happy with what has been achieved. “The Kaduna Polo Club is rolling out the drums to mark its Centenary, from its inception in 1918 to 2018 and as a result, we have used the opportunity to embark on a massive renovation of the club house as well as its play grounds. “The tournament starts Saturday October 13 and ends Sunday October 21, 40 teams are expected to participate and there are eight selected matches also to be featured. “El-Amin and Fifth Chukker to feature in Georgian Cup. Some of the legacies we will be celebrating is to exist for 100 years.